Credit cards! The smell of a freshly pressed plastic card is like a drug to many. Young people these days spend money using the credit card like it is real cash. They don’t realise that it is a loan that you take from your bank and you are supposed to pay it back with interest (a really high interest rate too). As of October 2016, there were 2.73 crore credit card holders in India and with all the excess cash in banks due to demonetisation and cashless transaction drive by the Government, this number would increase a lot as banks will now try to give more credit to it’s customers and people get comfortable with online shopping. 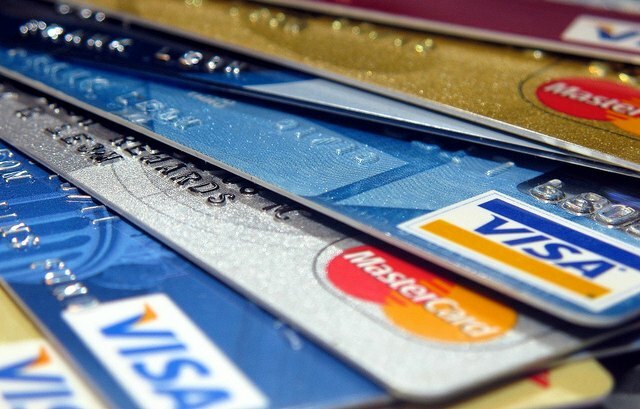 But first let us understand how credit cards work and the different terminology used. Credit cards are a great way to buy stuff without paying the entire amount on the day of purchase. The banks also give the customers a interest free period per month of upto 50 days. To understand that, lets say your credit card bill gets generated on the 5th of every month and your pay-by date is 25th of the same month. You are buying a TV for Rs.1 lakh on the 6th of January. The seller has delivered the TV and the bank has also paid the seller the money. You haven’t paid the bank yet and your bill will be generated on the 5th of February at midnight. On 6th February morning you will get an Email and SMS about your bill amount of Rs. 1 lakh and that you need to pay it by 25th of February. As long as you pay the entire amount of Rs.1 lakh on or before 25th February, you have practically gotten free money from the bank for 50 days. Neat right? This is a great way to handle urgent needs and cash flow crunches. I have taken the example from my own credit card statement. The only difference is the amount payable. Also what is the credit limit? This is the total amount that the bank allows you to spend. Do remember that this isn’t what your spending limit is. Your spending limit is based on how much you can repay and how much you really want to buy. And available cash limit is how much cash you can take out of the card from an ATM machine. What happens if you keep paying only the minimum balance? In your credit card statement you also notice in big bold letters that your minimum balance is just Rs. 5000 per month. So you bought something for Rs. 1 lakh and you just have to keep paying Rs. 5000 per month and you would have fully paid it off in 20 months right? The bank gives you money as loan or credit and for that facility you have to pay the bank an interest. The bank calls that Revolving Credit Facility where as long as you pay the minimum balance for the month, you wouldn’t get into (too much) trouble. Problem is the interest rates these banks charge you. Credit cards have the highest interest rates of all the loans/credit that the banks give, because it is an unsecured loan, you don’t submit any collateral to the bank while applying for one. When the bank sales person comes and sells his credit card plans notice how he would say the interest rate is a very nominal (I hate that word) rate, typically something between 2.95% to 3.5%. What they wouldn’t clearly explain is that number is the interest rate you would pay monthly and the annual percentage rate (APR) is that number multiplied by 12. That translates to 35.4% to 42% per year. That interest rate x 12 months = APR is a nice and easy number to calculate and the banks usually mention that in their Schedule of Charges section of the brochure in a 10 pt font. But the people who run banks aren’t stupid. Unlike most of us, they know and understand compounding like the back of their hand. APR is just simple interest and doesn’t take it account the power of compounding. Compounding is a way for the banks to earn more money from your spendthriftiness. To know how much you are really paying, you would have to understand something called the Annual Percentage Yield (APY), also known as Effective Annual Rate (EAR). So the APY will always be slightly higher than the APR. To understand the difference between APR and APY, lets take a very nominal (there’s that word again) interest rate of 3.25% (which is the average you would be getting as a new customer). APY: We have to use the Compound Interest formula for this. Wow. Look at that number. There is a world of a difference between the APR and the APY. No bank ever tells you this. Who in their right mind would say you would be paying nearly 50% as interest rate every year? Thats why banks stick to the monthly interest rate or the APR (which is a relatively smaller number). It only gets worse when you have a balance to be paid on your card and are making more purchases. All purchases when you have a existing balance on your card doesn’t get to enjoy the interest free 50 day period. You have to pay interest the day you make the purchase. Coming back to paying the minimum balance of Rs.5000 per month, can you guess how many months it will take to pay off all your credit card bill at a nominal 3.25% monthly rate? And you would have paid Rs. 64,133.20 as interest to the bank along with the original principal of Rs. 1,00,000. You have paid Rs.1,64,113.20 for that TV by not properly using your credit card. This is of course assuming you haven’t made any extra credit card purchases in that 2.8 years, which is very, very hard. If you add more purchases, your outstanding balance keeps increasing and you would be caught in a never ending debt trap. This is what many people using credit cards don’t understand and end up losing a lot more than they can earn. Always remember, the first rule to getting richer is to NOT LOSE MONEY. And misusing your credit cards is a really easy way to lose a significant chunk of your net-worth. In my next article I will be writing about how to get your credit card loans fixed and not lose any more money. Update: Read the second part of this article – How to repay your Credit Card Debt instantly.